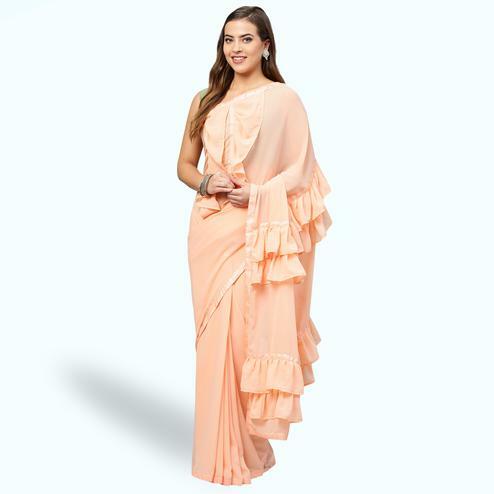 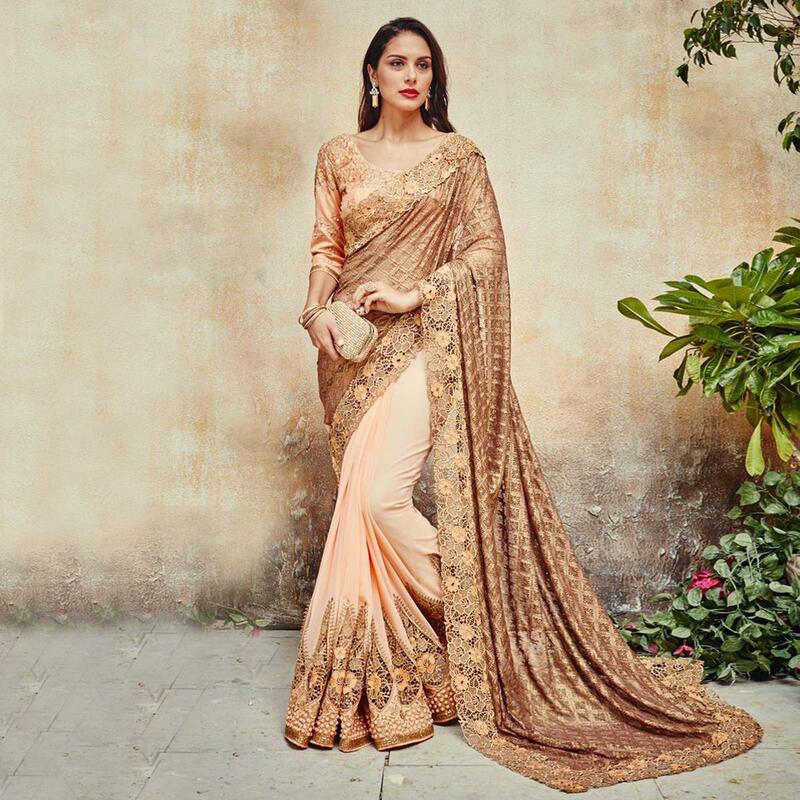 Beautifully designed this golden - peach color half and half saree features russel net pallu having floral work border georgette fabric skirt enriched with thread embroidery sequins and hand work. 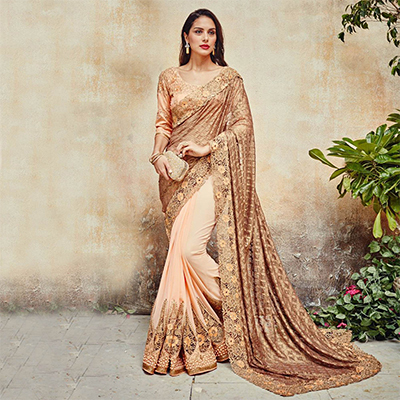 Saree paired with matching color raw silk blouse piece detailed with similar design embroidery. 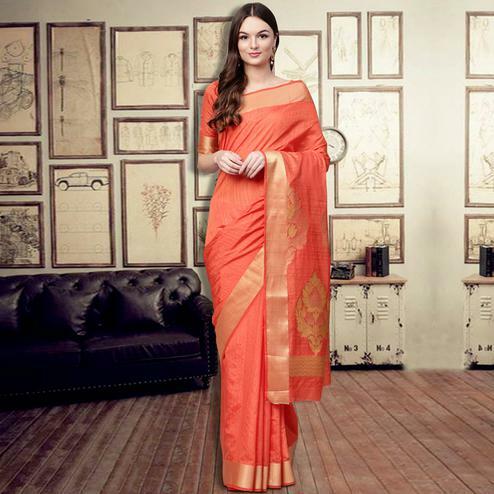 Best suited for parties functions and occasions.